Is BMV Dead In 2017? The creative strategies you must consider for every lead you get. 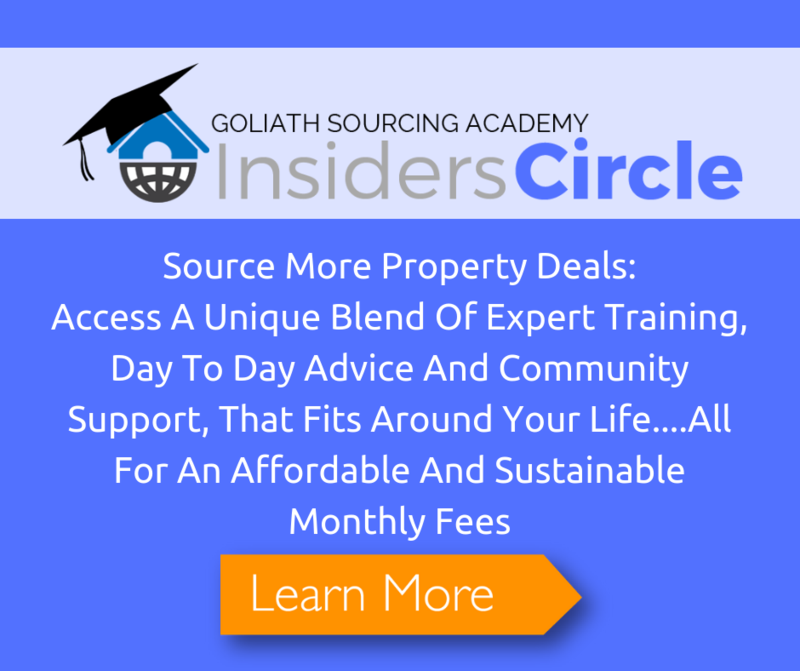 Get expert training, day to day advice, community support and deal by deal coaching when you join the Goliath Sourcing Academy InsidersCircle. Click Here to discover more. The Facebook question this week is from Saj Altaf he’s an InsidersCircle member and he actually asked this when he was on his way to view some properties with an agent. And he asked a very good question. One of the things you need to ensure when you’re building relationships with estate agents is when you meet with the negotiators at viewings you need to be thinking about (a) building the rapport but (b) scouting an opportunity you need, to be finding the right things out of those viewings in order to know how hard to push things, like low offers or just finding out the information that’s going to help you make better deals, whilst also building the rapport with the agent. So a really, really good question which is basically ‘What are the main questions I should ask when viewing property with estate agents?’ And one of the things that Saj referred to was things like the age of the boilers, electrics etc. Now you can ask those things. But the reality is that the agent is unlikely to know. Those are the sorts of things that you can kind of guess or at least gauge that you’re going to have to redo the electrics, replace the boiler just by looking at them. So looking at things like the plug sockets, the light switches etc. That’s by no means a fail safe but it’s generally a good idea in all the houses where you can see fuse boards, that sort of thing and boilers are quite obvious. It will just look old or it will look brand new, so you can look at those yourself. What you need to find out from the estate agent is the information only they know about. The information only the estate agent has access to so things such as – has there been much interest in the property? You know, how many viewings have there been at the property? How long has the property been on the market for? These are all things that only the agent will know. But it will also give you a good idea as to whether that seller is going to have had lots and lots of interest but no offers, or had absolutely no viewings and why are they not having viewings? These are all things that you will then use when speaking with the estate agent and in order to just gauge, you know – are they that motivated? Are they just leaving it on the market at a stupid price because they’re in negative equity? Or is it just that they’re unrealistic? They don’t need to sell and it’s just being left at a price they want to achieve? You can discover all this by asking these questions to the agent, so how much interest? How many viewings have there been? Have there been any offers? These are really, really important questions to ask. One that should be on the question list every time you view a property with agents – Have there been any offers? So when they say no then obviously you know that it’s been on for so long it’s had so much interest but there have been no offers. So you can take the path then of what do I do now? I can look at making an offer. Suddenly it’s the first offer the landlord’s had or property owner’s had for a while etc. viewing charmer in the UK). So what you want to do is when you’re asking them, obviously you’ve built that relationship you are having a bit of a laugh with them. But when you ask someone if they’ve been any offers and they say yes there’s been offers, you can actually start playing around. So with the properties on for a hundred thousand, you can say does the offer start with a 9? Does the offer start with an 8? Is the offer in the low 80s or the high 80s? And you just sort of prod and prod and prod. And what you actually find is that the longer you keep asking those questions, more than likely if they know, they’ll just come out with something fairly close. At least you know what has already been put on the table because what you can say to the person is ‘look I don’t want to waste their time, I don’t want to waste your time. If the offer that’s already on the table is above what I’m prepared to offer there’s no real point in me making the offer is there?’ And just get them to tell you because it will give you a good idea because then it’ll let you do numbers based around that rough figure. So it’s really important to try and ascertain what that offer level is and then find out about the seller’s motivation. Are they keen to sell? Are they keen to achieve that asking price? Are they looking to consider renting it again? Would they consider a long term rental with a view to buying? All these things that you can start prodding about the seller, like is the seller prepared to consider offers around the X amount? Or are they looking for asking price? And they’re going to say, well they’re looking for asking. I know that that’s what they want but do they need to get that or do you think it’s worth trying something lower? These are all the open questions that you want to ask. Get the agent talking to you. Right back in session one we went into working with estate agents in building those relationships. What you’ll find is that certain agents are just a nightmare and just will not disclose any information, they won’t be very helpful at all or they’ll just be a complete waste of time. They’re the ones that you realise you’re not going to work well with them, you’re not going to get very far with them and you may as well cut them out and go direct to seller and their stock. So those are the questions you should be asking. Hopefully that’s given people a few tips and tricks. It’s not rocket science. I’m sure a lot of you will probably be doing that already. But just try and prod for as much information as possible out of the accompanied viewer. You tend to find that if you get the valuer doing viewings of the branch manager sometimes, they’ll know all about the property because they make it their business to know. And sometimes if you just get a negotiator or an accompanied viewer that just does viewing for them they might not know as much information. But equally on the flip side they might not know what not to tell you as well. So just prod for information. Ask what you can and just see where it gets you. 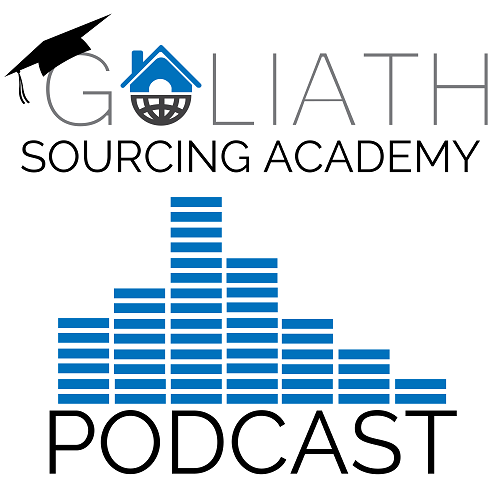 Welcome to this session of Sourcing With Mark for the Goliath Sourcing Academy property podcast. Now what I wanted to do in this session is touch on a bit of a current affair, a current topic of interest and one that stems from the sourcing business, our property sourcing business Goliath Property Solutions. So we get approached on a daily basis by so many investors looking for those elusive magical deals. And you know if we could find those ten a penny, we wouldn’t source property we would simply run a massive portfolio of UK-wide, below market value property deals with no money in, recycle all back out and infinite return on investment! Now the reality of course is they are very difficult to find and because we are currently in a buoyant market we’ve got a lot of things working against us. Two of the main things being estate agents are selling properties very close to asking price or at the very least nowhere near what a good investment would be. And the flip side, the other main major thing, is there are hundreds if not thousands of investors in the local areas who are going and doing exactly the same thing as us. So they’re sourcing properties but they’re property sourcing for their own portfolios. And what they’re doing is they’re making offers that as a property sourcing agent we just cannot get anywhere near. This is because their yields, their desired cash flow, their desired projected profit margins are all considerably less than what we feel as a property sourcing agent, an investor, is going to be likely to pay us as a fee. 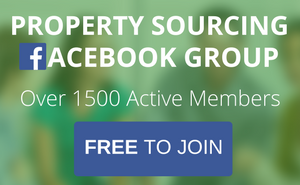 So this session of Sourcing With Mark focuses on is, are below market value property deals dead in 2017? Now what I really want to say, of course below market value still exists, here there are a lot of people sort of commenting in their cars, on their runs, walking the dog, just saying ‘well below market value still exists, I picked one up the other week’ or whatever it might be. But what I’m specifically referring to in this session is another 20% to 30% below market value deals that as a property sourcing company that’s what we get asked for all the time. They’re saying ‘I want a minimum of 20% below market value’, ‘I want a minimum of 25% below market value’. And the reality is they just aren’t out there anymore. Or if they are, the reality is that there’s so many people going after them and what happens is the people are offering, and they suddenly become 10% to 15% percent. Of course the big thing about this, the reason why we get asked by a lot of investors for that number is because that is what the property training companies, the big training companies who are still churning out wannabe investors telling them that they need to get a minimum of 20% below market value because everyone still believes that you can recycle all of your money. So anything that you’ve put into the property in terms of your deposit, your refurbishment costs, your legal costs, your Stamp Duty you’re going to be able to get that back out of the property by looking for these deals. What I want to discuss in this session is at the time we’re recording this in May 2107, the market does not allow us as a property sourcing company to source 20% to 30% below market value property deals en masse. And the reason for it, like I touched on at the beginning, is that estate agents are selling properties, the property market in most towns and cities currently is buoyant. It’s strong and properties are selling and selling close to asking price, maybe a little bit below, depends on where you are at. But certainly here in Leeds state agents are selling things for no worse really than 10% below market value. And part of that is because they price the property so high in the first place that actually the properties that look like they’re being agreed at 10%, 15% below market value are actually just being agreed at current market value, actual market value. Which of course is what the surveyors will come around and value the property at. So it might not be selling close to the asking price but we all know as savvy property investors that estate agents prices tend to be a little bit over inflated and the offers that are coming in when they get accepted are still fairly close to the actual market value. Which of course means when you come to revalue the property in order to recycle your money, you’re not going to get what you thought you were going to get and in effect have to leave more money in. So if you’re sourcing the deal, whether you’re an investor or you’re a property sourcer, the reality is to get the 20% plus below market value property deals, you’re going to have to go direct to seller. Agents are not going to be on your side. Now the difficulty with this of course is sellers aren’t naive and sellers are fully aware that properties are selling. They’ll drive past sold boards all the time. When they speak with agents they’ll have agents telling them how great the market is, how easy it’s going to be to sell their property and how easy it’s going to be to sell their property at this inflated price. So it is very, very difficult at the moment even with getting direct vendor to get these deals. And you know everyone that knows Goliath Sourcing Academy knows we are very ethical in our approach, both training in the academy but also in sourcing in our Goliath Property Solutions company. If I was to come across a person with regards to an a below market value deal and they could sell the property for a lot closer to asking price, then I’m going to say that to them that they’re going to have to go and consider looking at an estate agent to get the best possible price. This is because what we offer is going to be so low compared to what an owner-occupier my offer them, we’re not going to get those deals. The other thing, which isn’t discussed as often in the property sourcing world, is when you go to a property transaction and that property transaction has not been marketed by an estate agent, there can be potential complications with regards to the property brochures, the property’s not be marketed fully. Which means that the vendor has not been given the correct options i.e. putting the property on sale on the open market, which means that the transaction may be questioned by either solicitor (more likely the seller’s solicitor of course). But the really important thing to remember is when you’re trying to purchase the property that’s not been marketed publicly by an agent or it’s not been given a best chance of achieving the best price, you can face complications of something that’s not really touched on much in in the world of property sourcing but is a very key player when it comes to negotiating substantially below market value deals. So it is a really important thing to remember. Now, what that does mean is it means creative strategies are becoming more prevalent, they’re becoming the way forward for property sourcers and to be able to (a) get the best solution for the seller but then also (b) have options for the investors. So for example things such as assisted sales, exchange with delayed completions, lease options, planning gains. So we’re holding them and getting planning and adding value. These are all things that are ways to combat the marketplace at the moment. So the returns are still great but of course they’re not the 20% below market value deals that people are looking for. Moving on to the reality so investors now are going to have to consider leaving more money in the deal, ‘skin in the game’ as we like to call it, because the likelihood is when we’re sourcing property deals we’re not really going to be achieving much better than 10%, possibly 15% below actual market value. Remember, this is actual market value, not an estate agency valuation. So what that means is that investors and for sourcers, if we’ve got clients who have cash and I mean cash not bridging finance where people claim they don’t need a mortgage, I’m talking about actual hard cash to buy that property outright. And they are going to be in a better position to get the better deals in order to recycle that money because of course we’re not going to have to factor in things such as finance costs, interest rates, etc. etc. So cash is king as it stands at the moment and what the big, big factor in finding deals that are going to generate the profit margins that we want, is that the money is in the uplift. So the money is in the value that you add to the property. So you need to negotiate off the price at the start off actual market value. But then the added value that you’re going to bring to the property is going to be where you make the profit and of course where the likelihood is you’re going to be able to recycle that cash. Now the days have gone where you could buy a property, give it a lick of paint and then get it revalued at 20%/30% higher. And when the surveyor comes around those days have gone. These days surveyors want to see a considerable improvement to that property and if that means that you’ve just simply put in a new kitchen and done some decorating and you expect to get top whack, the reality is you’re not going to get that. If you think you’re going to get that you’ll be disappointed quite often with the surveyor’s value at the end. So really important things to consider and I know it’s not so much of a training, although there are some tips in here, but it’s more to do with the below market value concept in the current market. It’s very important to remember that. In my opinion it’s difficult now to define those as readily and certainly in our sourcing business we don’t find them as often now. We’re focused more on the more creative things, such as the assisted sales, the exchange with delayed completions. And so that’s why what we want as a sourcer is to make that clear to our clients. We have to manage expectations with any clients that come to us now that are specifically looking for a minimum of 20% below market value property. We will advise them that we’re unlikely to be able to help and obviously we’ll put them on the list but we’re not going to waste the resource in going out and setting up source to order campaigns for those clients because it’s going to be a waste of money, waste of marketing budget knowing full well that they are going to be very, very difficult to find. So as a sourcer, what we need to do is we need to remember that by the time we factor in our sourcing fee and everything else, these deals are going to be nigh on impossible to find. So we need to focus our attention on more creative strategies. We have to stop wasting time looking for the elusive 20% plus bmv property deals. And now it is time to think outside of the box in order for you to generate that deal flow, generate that consistent income so we are making money from property sourcing. I hope everyone has found that useful, it is a bit of a rant, bit of a comment on the current market conditions but hopefully you find it useful and as always everyone, take care and happy sourcing! Hi and welcome to In The Lab With Brad. 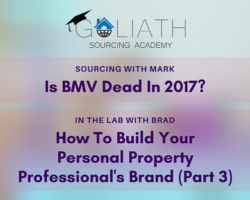 This is the third and final part of a three part series on how to build your online personal property professionals’ brand. Now if you haven’t listened to parts one and two I definitely suggest that you do that as it really helps to contextualize what I’m about to explain to you. It’s not absolutely imperative. By all means continue listening but it’s really worth going back to parts one and two and you can find those in session 18 and session 19. So just go to GoliathSourcingAcademy.com/session18 for part 1 and GoliathSourcingAcademy.com/session19 for part 2. So in parts 1 and 2 I laid out the reasons why you should be building an online brand and how using some basic digital marketing techniques and strategies has helped this process become so much easier and leverageable and how the ability to be able to leverage yourself and get your message out to the world is now so accessible to you. Now as a property pro, you don’t need to get your message out to the world as such, but only to your chosen target audience or target market. 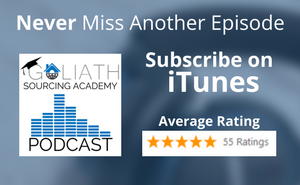 So the point being that the opportunity to communicate your message has never been easier if you know how to do it and you will know how to do it if you listen to this three part series. In part 2 of this series I showed you the first of four steps to building your online brand. So step 1 was to define your target audience – who is your audience? Who are you going to serve? Who is your market? That was step one. Step two was build your online home, so essentially build a website, have that as your asset not build your online home on somebody else’s asset i.e. YouTube Facebook Twitter. Step three is to create content that your target audience finds useful, it finds valuable and it positions you as an expert authority in your niche. So step 4 was to create content in a format that you feel comfortable with and your audience will be most receptive to, so where those two meet is the balance. In the final part in this series I’m going to give you four more steps. The common theme that binds the steps is what you might call amplification. This is where the leverage really comes into its own. So here we’ll take that valuable content that you’ve created in the previous steps and we’ll give it some steroids, we’ll inject it with some real oomph by putting it in front of as many of your target audience in your target market as you can. So we finish previously on step 4 in part 2. So let’s start this episode with Step 5, which is build your email list. So, email is dead? I can’t think of how many times I’ve heard people say that. It could not be further from the truth. Email is well and truly alive inboxes are way more crowded than they’ve ever been. That is true. Getting people’s attention in their inbox is tougher than it’s ever been. That is also true. And there are many tactics and strategies to getting your e-mails read. But that’s actually way beyond what we’re going to talk about today. But speak to any online marketer worth their soul and they’ll tell you that their primary goal is to build their email list. It’s our primary goal at Goliath Sourcing Academy. Why do you think that we offer so many things for you to download? It’s because we want your email address, it allows us to be able to then communicate with you and continue to build the relationship. That email list is the really the equivalent of building your brand on your own land. If you remember back to part two in the series I used an example of somebody posting a great piece of content on their Facebook profile and how they may well have got a number of views and likes and shares of that content. But ultimately they were building their reputation and brand on somebody else’s land on the basis that they didn’t have a website as well, remember. So, at any point when you do this, the rug can be pulled from underneath you. Now when you build a personal brand your asset is your audience, so getting an email address is the first step in building the relationship with your audience and building that relationship on solid ground that you own and is not somebody else’s ground and you’re not building on their assets. So how do you build an email list? That leads us nicely into Step 6. Now you may have heard the term Lead Magnet or Opt-in bribe. So what is this? Well it’s an incentive that you offer your website visitors and target audience that gives them something valuable in exchange for their email address. So lead magnets come in many different forms and they can be an e-book, a checklist, a useful template for somebody to use, a report. The possibilities are numerous. So here at Goliath Sourcing Academy we offer a wide range of lead magnets from our 20 ways to Source Property Deals, through to a deal analyzing spreadsheets and so on. But the critical element of a Lead Magnet offer is that it must be useful enough that someone is going to get enough value from it that they are willing to give you their email address for it. So offering a newsletter – it just doesn’t cut it. These days you could just as well be saying to that person ‘please give me your email address I’m going to spam you’. Nobody wants another newsletter. So if you had an audience for example of tired landlords, a possible lead magnet may be a case study on how you’ve helped landlords just like them have their rent guaranteed, have maintenance issues reduced etc. etc. You’re offering them a rent to rent case study. Now if you were a landlord would you want the newsletter or would you want the rent to rent case study that shows you how you can have your rental income guaranteed? I think you probably know the answer to that. So let’s move on to Step Seven. Now content syndication is the process of pushing your content out into third party sites and platforms. So think of all those websites that get a ton of traffic – your Facebook, Twitter, YouTube, LinkedIn and so on. Do you think that your audience that might be interested in your content might be on those platforms? Well the answer is definitely yes. And would you like some of those eyeballs looking at your content, either coming back to your website and becoming a subscriber in the way that we mentioned in the previous step or just consuming the content on that platform that they’re actually on? Now that’s the result that content syndication can give you. As you may have figured out, a part of any great content syndication plan is therefore to build a social media following and engage with the audience on that particular platform. So as your audience grows your content syndication efforts are magnified meaning that you reach more people and you get more exposure for your content as you grow. Now we’re coming to the end of this series but I wanted to give you one more step and a bonus step, if you like. When I began to internalize this next step, the whole game really changed for me. So industries and sectors are littered with business casualties that could have been avoided if only the business owner placed a little less emphasis on the technicalities and the delivery of what they do and a little more on the communicating of what they do and why it’s of benefit to the people, or to the audience, or to their market. You really can be the very best in your industry. You could be the best deal sourcer or the best property investor, the best at negotiating deals. But if enough of the right people don’t know about you then you’re always going to ultimately fall short of your potential to succeed. So don’t be afraid to promote yourself – you, your business. Make a concerted effort to learn the skills of online marketing, digital marketing and personal brand building. It really is one of the most transferable and valuable skills that you’ll ever learn. So like in the last episode there’s a checklist of this whole personal brand building process if you go to GoliathSourcingAcademy.com/session20 you can download the property professionals’ online personal brand checklist. Where should we send your "Property Professionals Online Personal Brand Checklist"? Where should we send your Session 20 PDF Transcript?